Washington, DC, September 11, 2009 - During a 1972 command post exercise, leaders of the Kremlin listened to a briefing on the results of a hypothetical war with the United States. A U.S. attack would kill 80 million Soviet citizens and destroy 85 percent of the country's industrial capacity. According to the recollections of a Soviet general who was present, General Secretary Leonid Brezhnev "trembled" when he was asked to push a button, asking Soviet defense minister Grechko "this is definitely an exercise?" 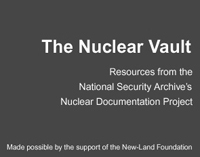 This story appears in a recently released two-volume study on Soviet Intentions, 1965-1985, prepared in 1995 by the Pentagon contractor BDM Corporation, and published today for the first time by the National Security Archive. Based on an extraordinarily revealing series of interviews with former senior Soviet defense officials--"unhappy Cold Warriors"--during the final days of the Soviet Union, the BDM study puts Soviet nuclear policy in a fresh light by highlighting Soviet leaders' recognition of the catastrophe of nuclear conflict, even while they supported preparations for fighting an unsurvivable war. Before the 1970s, Soviet military officials paid no attention to the environmental impact of nuclear war, but they began to recognize that "drastic effects on climate" would be among the catastrophic effects of nuclear war (See document 5, "Stockholm Roundtable," p. 65). 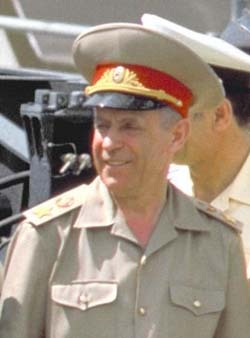 According to Dr. Vitalii Nikolaevich Tsygichko, a Senior Analyst at the Academy of Sciences, the author of the study, Mathematical Model of Soviet Strategic Operations on the Continental Theater (see document 4, with summary attached), and a former member of the General Staff, military analysts discussed the idea of a "nuclear winter" (although they did not use that term) years before U.S. scientists wrote about it in the 1980s. (Note 2) [II: 39 (Danilevich), 137, 139, 142 (Tsygichko). Soviet models of a nuclear battlefield in Central Europe predicted that using 20 percent of the weapons deployed in the region would "throw millions of tons of toxic material into the atmosphere, causing an ecological disaster." (Note 4) Military operations would become impossible. "Nuclear strikes on all of NATO's airfields would contaminate Eastern Europe and parts of the Soviet Union." While the General Staff believed that nuclear weapons had little utility for combat operations, the Kremlin ordered the officers to make war plans using tactical weapons, although they never produced detailed plans. [I: 43-44] The reason for this inconsistency is the disconnect between the result of military studies and official Soviet doctrine, which postulated the historic inevitability of U.S.-Soviet confrontation, despite the desirability of peaceful co-existence, and the possibility of Soviet victory in a nuclear war. The assumption of the imperialist camp's inherent aggressiveness led to a situation where the Soviet leadership was trying to avoid war at all costs, but in the event of an actual U.S./NATO attack was willing to use any weapons in their possession. This scenario would turn any European conflict involving the use of tactical nuclear weapons into a full-blown nuclear exchange. Ironically, in the minds of the Soviet leaders this created a stronger deterrence because they were aware that their Western counterparts thought along the same lines. The BDM study bears no classification markings, but the Pentagon's FOIA reviewers have treated it as a classified document excising a few portions. The excisions are relatively light, mainly concerning technical issues about nuclear tests and weapons effects. In light of the Pentagon's predisposition to overclassify, whether declassification would actually compromise national security as the FOIA release letter suggests is open to question. In this memorandum, Marshall wrote that study director John Hines left BDM before finishing the report and that he (Marshall) was not entirely satisfied with the findings. Marshall did not specify which aspect of the report was incomplete, but it is evident that that he was not persuaded by the argument about the role of the defense industrial complex in establishing force levels. BDM Federal, Inc., September 22, 1995, Unclassified, excised copy. Soviet Intentions 1965-1985 Volume II: Soviet Post-Cold War Testimonial Evidence, Unclassified, excised copy. 1. Richard Pipes, U.S.-Soviet Relations in the Era of Détente: A Tragedy of Errors (Boulder: Westview, 1981), 136. 2. For the origins of an explicit nuclear winter concept in the United States during the early 1980s, see Lynn Eden, Whole World on Fire: Organization, Knowledge & Nuclear Weapons Devastation (Ithaca: Cornell University Press, 2003), 238-242. 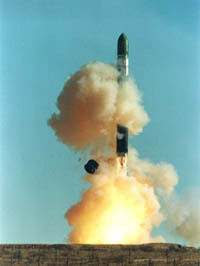 Tsygichko did not mention the fire effects of nuclear weapons, but nuclear winter thinking presupposed that detonation of nuclear weapons in urban areas would cause mass fires. 4. 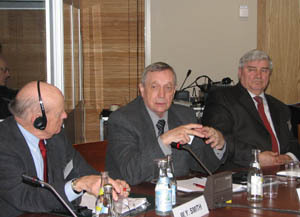 See discussion of Soviet mathematical modeling of strategic operations in Europe in the "Stockholm roundtable" (document 5), and the summary of Vitaly Tsygichko's book,Models in the System of Military-Strategic Decision Making in the USS (document 4). 5. For more on Brezhnev's background, leadership, and decline, see Vladislav Zubok, A Failed Empire: The Soviet Union in the Cold War from Stalin to Gorbachev (Chapel Hill: University of North Carolina Press, 2007), 201-215 and 241-247. 6. Thanks to Daniel Ellsberg for raising these questions in a discussion of the BDM study.